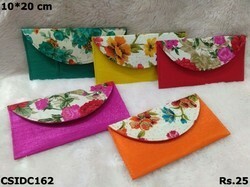 As an acclaimed entity, we are offering a premium quality collection of Paper Envelopes to our valued clients. We are offering this product in different sizes. 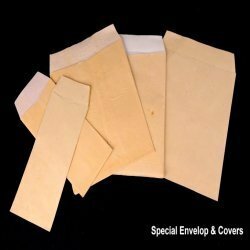 We are one of the leading names in the market, trusted for offering Yellow Laminated Envelope. At oxpp, we organise custom sized foam envelopes. We can give with/without closing flap. Metalfold seed packet is made up of yellow paper or high strengh white imported paper with a metal locking system to store seeds for testing. Made from top quality raw material, these most used a4 size papers come with a glossy and smooth surface. We pay painstaking attention to manufacture these white a4 papers in compliance with quality standards. We have offer best quality glossy a4 paper which is in standard thickness. Our white a4 size paper exhibit quality which is due premium raw materials. We offer a variety of handmade paper stationary which includes Envelopes of standard and non-standard shapes and sizes, regular notepads, handmade paper folders, handmade paper files, handmade paper chitpads, handmade paper diaries, telephone indexes, day & date diaries, ruled diaries and plain diaries.